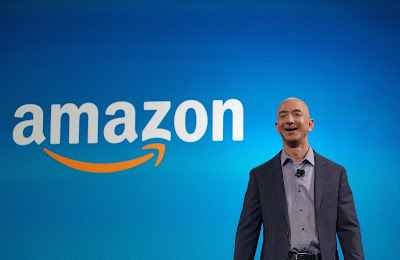 A few days ago Jeff Bezos, Amazon's founder and CEO delivered his usual annual letter to shareholders. A short must read that is always full of management wisdom, since the first one he wrote back in 2017 - see both the latest and the first ones here. Rather than reading the countless pieces published about the latest letter, I have followed Brad Feld's advice and have gone directly into the "source". How he defines Day 1 - "I’ve been reminding people that it’s Day 1 for a couple of decades" and Day 2 - "Day 2 is stasis. Followed by irrelevance. Followed by excruciating, painful decline. Followed by death. And that is why it is always Day 1” - for a company is, simply put, masterful. He highlights a number of drivers for Day I defense. Leaving aside other aspects, I would like to focus on one of them - high-velocity decision making. According to Bezos, it is not just crucial to make high-quality decisions. It is crucial to make them fast, otherwise Day 2 can be taken for granted. I couldn't agree more. And this just not applies to large corporations such as Amazon but also to any kind of company, yet the most nascent ones that, following an analogous terminlogy, are in Day 0 of their development. disagree and commit: I truly love this one, as it transpires humbleness and trustworthiness in those around you. Leadership. It is natural not to be certain at all times. In those circumstances where you are uncertain, most likely everybody feels similarly. And whoever is in charge of a company, team, project is waiting to be actually convinced to make a decision, that may take ages. It's not about letting everyone do whatever they feel like doing, "a chance for the team to weigh [the boss'] view, and a quick, sincere commitment to go their way". Any organization needs people at any level who can actually be able to push in the same direction than the organization itself when in certain circumstances the former may not necessarily agree with the direction adopted. spotting what is wrong and escalating: sometimes people and teams are not aligned and that creates multiple inefficiencies, reaching the very unfortunate point where "whoever has more stamina carries the decision", which is truly demotivating and frustrating. Therefore, is critical to escalate to sort things out and provide alignment which, at the end of the day, requires considering the three previous points. All these characteristics must necessarily be part of a company's DNA. Otherwise, the company will be moving from Day 1 (or even Day 0, as I suggested before) to Day 2 at the speed of light.